Have you realized that it is possible and more affordable than you expected to own and enjoy a piece of island living? Want to help showcase the idyllic paradise, vibrant culture, and laid back, friendly lifestyle that is The Bahamas? We want to hear from you! In particular, expats who have recently purchased or are in escrow in Nassau, New Providence, or Exuma. We are casting married/partnered couples, parents/children, siblings or friends from the U.S.A. Canada, England, Australia New Zealand and more! 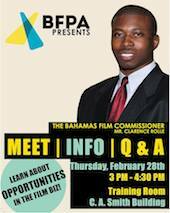 If you are interested in learning of opportunities in the Film biz on Grand Bahama Island and The Bahamas in general, be sure to show up this Thursday, February 28th from 3pm to 4:30pm at the Training Room of the C.A. Smith building. CALLING FILM MAKERS & STUDENTS FREE LECTURES OPEN TO THE PUBLIC. 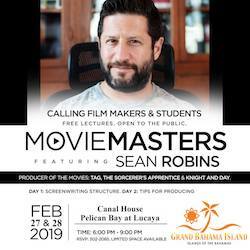 MOVIE MASTERS featuring SEAN ROBINS PRODUCER OF THE MOVIES: TAG, THE SORCERER'S APPRENTICE & KNIGHT AND DAY. It’s no easy feat to identify promising companies and entrepreneurs with the strongest potential to change the way we live and work, but The Investment Group (TIG) is on a mission to do just that as interviews are set to commence this week with shortlisted candidates vying for thousands of dollars in a second round of funding from the venture capital fund. Freeport, Grand Bahama Island - A dynamic, new outdoor fitness program is seeking highly driven fitness instructors to lead the program. Casting Recent Home-buyers in New Providence Area! Contact Us Now! 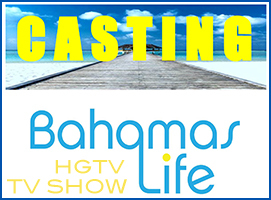 The popular HGTV series, Bahamas Life is currently filming the second season and Enter the Picture Productions is looking for people who have fallen in love with the Bahamian lifestyle and are ready to make their island dream a reality! HGTV's "Bahamas Life" Now Casting! Now Filming! Casting Recent Homebuyers In All Areas! Contact Us Now! Are you expats who purchased in the Bahamas? We are open to all areas! We are casting married/partnered couples, parents/children, siblings or friends from the U.S.A. Canada, England, Australia New Zealand and more! The popular HGTV series, Bahamas Life is returning for a second season and Enter the Picture Productions is looking for people who have fallen in love with the Bahamian lifestyle and are ready to make their island dream a reality! Are you expats who have purchased in the Nassau, New Providence area? We are casting married/partnered couples, parents/children, siblings or friends from the U.S.A. Canada, England, Australia New Zealand and more! 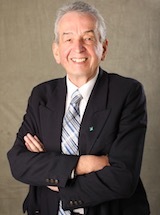 Vantage Airport Group, which manages operations at both Lynden Pindling International Airport and Greater Moncton Roméo LeBlanc International Airport, today introduced the Rob Robichaud Vantage Airport Group Scholarship in Aviation. The Bahamas Ministry of Tourism's Film Commission has announced that an ABC pilot is shooting in The Bahamas. A casting notice seeking "a male actor (any ethnicity) that speaks French for an ABC pilot shooting in The Bahamas," was posted to the Film Commission's Facebook page on March 17. The notice states that the pilot will shoot in The Bahamas on April 4th and 5th. The actor will only have a few lines and play a private security officer on a yacht. Enter the Picture Productions is very excited to be back on the islands casting Season 2 of Bahamas Life. Thank you for your viewership, support, and wonderful response! This popular HGTV series is looking for people who have fallen in love with the Bahamian lifestyle and are ready to make their island dream a reality! 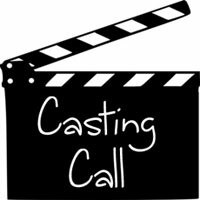 Enter the Picture Productions is now casting for “Bahamas Life,” a new television series on HGTV looking for people who have fallen in love with the Bahamian Lifestyle and are ready to make their island dream a reality! We are looking for lots of REALTORS and HOME BUYERS! Are you in the process of buying a home, in escrow, or have you recently purchased a house in the Bahamas (in the past year)? In particular in Nassau, Eleuthera, or Exuma? Proven to withstand Cat 5 Hurricane force winds. Business as usual would have been possible the day after Hurricane Matthew at these solidly built warehouse/manufacturing facilities in Freeport’s Civic Industrial Area on Queens Hwy. Prime frontage location on high visibility street between town and port. Showroom and reception area to showcase your product to the world. Located on Queen's Highway in TAX FREE Freeport, Grand Bahama Island, a short 26-minute flight from South Florida (Miami/Fort Lauderdale). Major international Pharmacy company putting $120 million expansion into Freeport. The revival has begun. Why wait. This facility is available right now to get your business started Immediately. We are looking for lots of REALTORS and HOME BUYERS! Are you in the process of buying a home, in escrow, or have you recently purchased a house in the Bahamas (in the past year)? Casting is open to people from the United States, Canada, England, Australia and more ! There is pay for your participation! 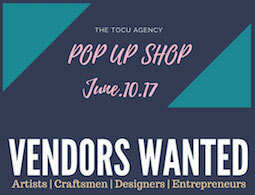 The TOCU Agency, a new talent and management company is pleased to announce its first Pop Up Shop on the Island of Grand Bahama. "We are also happy to announce our partnership with Kalypso Restaurant and Bar in the Port Lucaya Marketplace. They have graciously come on board to act as a backdrop to this exciting event," said a press statement. "A big part of the mission of The TOCU Agency is to not only recruit talent but to also foster and encourage entrepreneurship. It is with this in mind that we are welcoming local craftsmen, entrepreneurs, designers and artist of all mediums to apply and participate in our Inaugural event." The Freeport Players' Guild has announced audition dates for their first production of the year, "Annie, the musical." 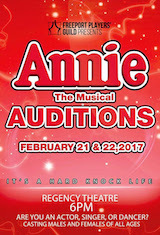 Auditions will be held at the Regency Theatre for an actors, singers or dancers of all ages on February 21 or 22 at 6pm. CaribbeanTales, a multi-faceted group of film production, marketing and distribution companies, has announced its annual Call for Submissions for the Film Festival and Producer Incubator programs that will take place in September 2017 in Toronto, Canada. Applications for both programs will be open until March 31, 2017. 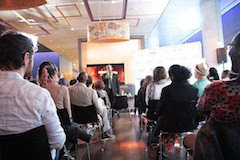 CTI Presented by Flow - Get Your Original Caribbean TV Series Made! 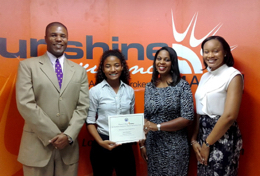 NASSAU, Bahamas – Sunshine Insurance (Agents & Brokers) Ltd.’s 15th annual Elmira College essay competition is officially open. The contest gives 10th, 11th and 12th grade students an opportunity to win $150,000 in scholarships. 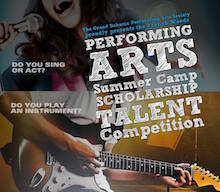 The first place winner takes home $60,000 scholarship and the three runners-up will each receive $30,000 scholarships.